When I first started my driving lessons I was extremely nervous naturally. 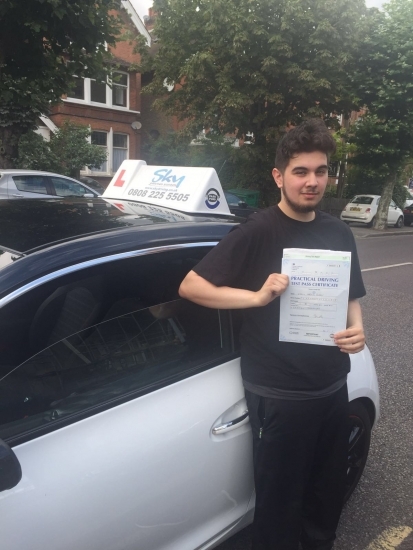 Initially I started my driving journey with another instructor and had done a few lessons; I was not confident and felt like I was not learning to my full potential. And then I met Shabnam. Immediately she saw my potential and had given me the confidence to drive at my best, I felt comfortable and safe at all times with Shabnham and also felt like I was making rapid progress, every lesson was a joy and it felt incredibly satisfying watching myself change from a novice, nervous wreck to a safe, controlled and calm driver and I owe it all to Shabnam. She is very knowledgeable on the ins and outs of all things driving and has amazing teaching skills, ensuring that she is friendly yet informative at all times. I cannot stress enough how good Shabnam is and strongly recommend her to all those wishing to pass their driving tests. I just want to thank Shabnam for all her hard work on me, I could not have done it without you.